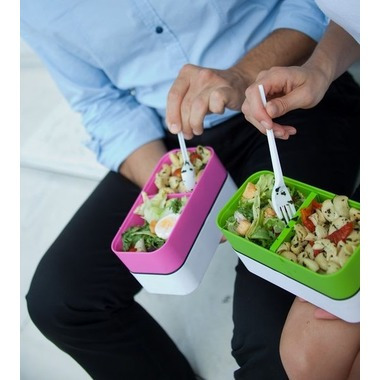 With its king size and its two containers, it is perfect to carry salads, generous sandwiches and other complete meals with you, wherever you go. In the mood for a hot lunch at the office? Pop it in the microwave! And other good news: you can even put it in the dishwasher then! he MB Square lunch box transports salads, picnics or large lunches every day without mishap thanks to its high edges and a capacity that’s larger than its cousin, the MB Original. You can’t put a price on trust and that’s something the MB Square lunch box understands! 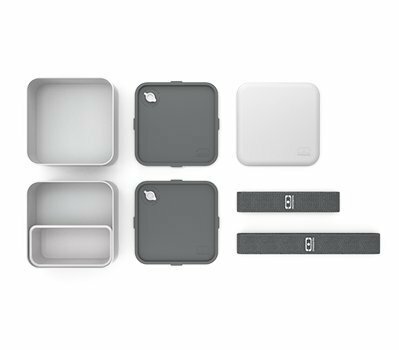 100% airtight thanks to its internal lid and silicone hinge you can take this food box everywhere to guarantee a calm and delicious lunch! 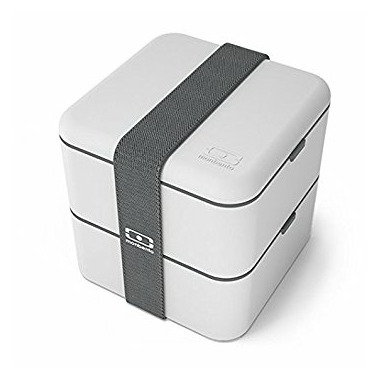 LFGB and FDA certified by the TÜV and SGS laboratories, the MB Square bento box is made of high quality materials. This lunch box is BPA-free (a product that is bad for your health), guaranteeing meals that are safe for your body! I like how simple this is to use for my lunch. I save on the use of disposable plastics. I can fit my main meal in the big part and then stick some snacks in the divided compartment.